So you’ve got a business name, a logo, and you’re ready to take the next big leap into designing a website thats going to solidify your business in the competitive digital realm. You kick up your feet, crack open the lid of your laptop, and start searching for your businesses name followed by a .com. Usually, you will see the words ‘Already Taken’ or your domain followed by a 4 figure price tag. The sweat will start to trickle down your brow as you wonder what you did wrong to deserve this. 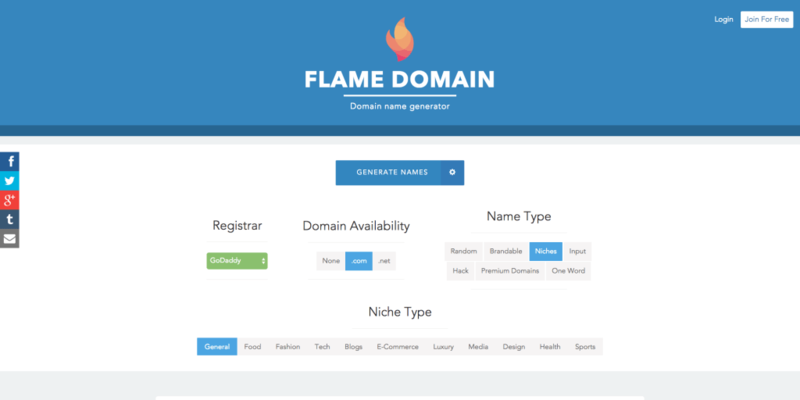 Flame Domain gives you the ability to filter your results by Registrar, Domain Availability, and Name Type. What we enjoy most the filters like “Niches”and “Brandable” because it generates unique and short keywords for your business.